If you think Piece Of Me was over, think again… A few hours ago, Britney announced the “Piece Of Me” world tour!! The tour includes 23 dates in the United States, the United Kingdom and Europe. Check out below all the dates and tickets info. Britney had one of the highest grossing tours of the year! Britney’s Piece Of Me is featured in the Top 100 of Highest Grossing Tours of the year both in North America and Worldwide thanks to the small tour Britney: Live in Concert!! Piece Of Me is at #27 in the Top 200 North American Tours with a gross of 38.9 millions and 238,144 tickets sold. It includes the 60 shows she made this year in Vegas. But Brit’s also at #40 in the Top 100 Worldwide Tours with a gross of 48.2 millions and 295,343 tickets sold. Here it’s also included 10 shows of the Britney: Live in Concert tour (There’s 1 that wasn’t counted, we don’t know why). The Axis At Planet Hollywood theatre is at N°4 in the Top 200 Theatres with 517,084 tickets sold but here you must bear in mind that Britney is not the only artist with shows in that theate. Here’s a special video recorded for the South Korean fans who will attend the show on June 10. Britney adds a second show in Bangkok! Britney set to perform live in South Korea! A new day, a new Piece Of Me summer tour date confirmed! This time, a new show was confirmed in Seoul, South Korea, at the Gocheok Sky Dome on June 10. Are you ready?! Britney announces a new show in Singapore! For the first time, Britney will perform live in Singapore on June 30. More details will be announced soon by IME SG. 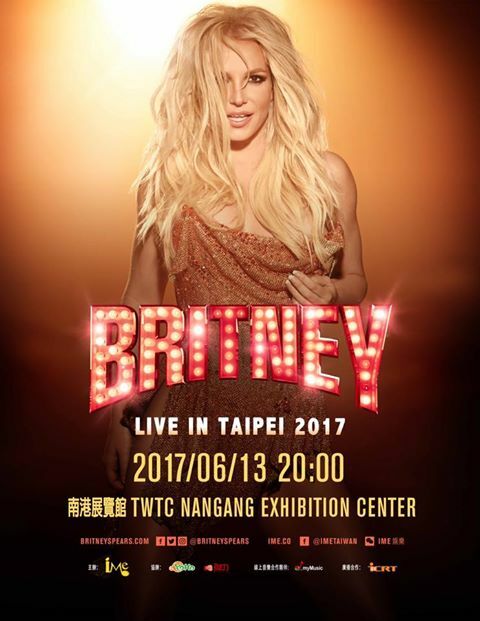 Britney announces a new show in Taipei! As we told you before, Britney is taking her Piece Of Me Summer Tour to Taiwan and the show was confirmed earlier today!! The show will be held at Taipei Nangang Exhibition Center in Taipei, Taiwan, on June 13. Tickets will be on sale soon. New show in Taiwan to be announced soon! It looks like Britney is taking Piece Of Me to Taiwan as well! 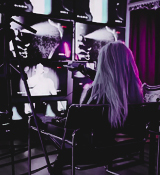 IME TW productions posted this picture on their official facebook page and it’s pretty obvious it’s about Britney. The same thing happened with Thailand and Hong Kong.